This months newsletter contains a chapter from Adrian's recent book My Beloved. I remember one of the first times the light came on in my mind, and I started to see how theologians could make such absurd statements. For years it puzzled me how people who professed the Bible could deny a literal six day creation, deny the Sabbath or believe that people went straight to heaven when they died. Worse still, were the statements from Adventist scholars denying the investigative work of Jesus in the Most Holy Place and the cleansing from sin before He came back to earth. a figure of speech in which a term or phrase is applied to something towhich it is not literally applicable in order to suggest a resemblance,? As I picked up this thought of the imagery of Daniel 7 being a metaphor, I sensed the ground opening up, and the entire Adventist system of faith was being swept away. The suggestion was that Daniel and Revelation were full of symbols and that what Daniel saw concerning the Son of Man coming to the Ancient of Days was also a symbol. There was logic to this argument. It sounded reasonable, but from the research I had done, this would turn the doctrines of Adventism (to use a metaphor) into a deck of cards on a sandy foundation right next to a fault line. The use of metaphor exists in many places in the Bible. The question is when do we consider something as a metaphor where the meaning is not to be literally taken, and when do we read the text plainly with a literal meaning? RULE XI. How to know when a word is used figuratively. If it makes good sense as it stands, and does no violence to the simple laws of nature, then it must be understood literally, if not, figuratively. A metaphor only has power when it is attached to a literal reality. If you take the foundation and apply a figurative understanding to it, then the whole system will collapse, because there is nothing solid for the metaphor to build on. The Bible rule to accept the literal wording first if it ?does no violence to the simple laws of nature? is our safeguard against turning our foundations to sand. The natural effect of applying a metaphor to something that can be literally understood is an opposite meaning. This little device of applying metaphors to literally understood passages ignited all my childhood enjoyment for jesting and training in opposites attracting. These deadly metaphors provided a door for me to enter parallel realities with opposite meanings. I recall one lecturer describing that the Bible came alive when he understood the power of metaphor. One of the simplest examples of how a metaphor can be used to make something appear opposite from what is stated concerns the Sabbath. Come unto me, all ye that labour and are heavy laden, and I will give you rest. Matthew 11:28. 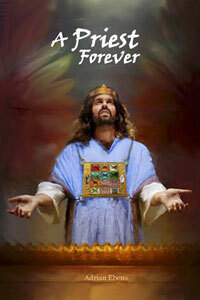 The conclusion is presented that as Jesus is our rest, He fulfils the requirement to rest. We rest in Christ, and as we rest in Him we are fulfilling this command spiritually. This process turns the literal word Sabbath into a metaphor for resting in the salvation of Jesus. Yet if we use the rule for literal interpretation first we find it makes perfect sense as written, so we prevent the metaphorical meaning that would make the statement appear to be saying the opposite of what was commanded. RULE V. Scripture must be its own expositor, since it is a rule of itself. If I depend on a teacher to expound it to me, and he should guess at its meaning, or desire to have it so on account of his sectarian creed, or to be thought wise, then his guessing, desire, creed or wisdom is my rule, not the Bible. There is no need to speculate about the meaning of the lion, the bear, the leopard and beast, the Bible tells us what they mean. These great beasts, which are four, are four kings, which shall arise out of the earth. Daniel 7:17. I beheld till the thrones were cast down, and the Ancient of days did sit, whose garment was white as snow, and the hair of his head like the pure wool: his throne was like the fiery flame, and his wheels as burning fire. (10) A fiery stream issued and came forth from before him: thousand thousands ministered unto him, and ten thousand times ten thousand stood before him: the judgment was set, and the books were opened. (11) I beheld then because of the voice of the great words which the horn spake: I beheld even till the beast was slain, and his body destroyed, and given to the burning flame. (12) As concerning the rest of the beasts, they had their dominion taken away: yet their lives were prolonged for a season and time. (13) I saw in the night visions, and, behold, one like the Son of man came with the clouds of heaven, and came to the Ancient of days, and they brought him near before him. (14) And there was given him dominion, and glory, and a kingdom, that all people, nations, and languages, should serve him: his dominion is an everlasting dominion, which shall not pass away, and his kingdom that which shall not be destroyed. Daniel 7:9-14. The descriptions of the beasts and little horn are clearly symbols and find their explanation in other parts of this chapter as well as the rest of Daniel. Everything else in this story can be read literally without any violence being done to the laws of nature. This judgment scene involving the Ancient of Days and the Son of Man is the foundational narrative of the Adventist faith. While sitting in my theology lecture, the suggestion that Daniel?s vision was only a symbol of God?s justice and reflected His ability to bring sin to an end, made the entire narrative state the opposite of what is meant. The failure to first apply the rule for literal interpretation, allows the foundational reality of the Son of Man actually coming to the Ancient of Days to receive a kingdom turn to dust. Why? Because it didn?t actually take place; it is just a symbol. This is the result of ignoring the rule for literal interpretation first. It is on this very point that I was seduced concerning the Bible teaching of the Father and His Son. I am amazed at how I could believe that Jesus was God?s Son and yet believe in the Trinity at the same time. 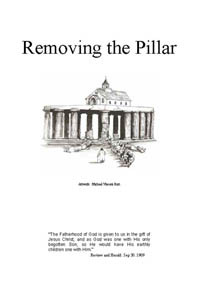 This process becomes very easy when you present the termsFather and Son as metaphors for the love of God to the universe. ?Another important point involves how we interpret the Bible. Here the issue pertains to whether we should interpret some passages literally or whether we may treat them more figuratively. Maybe we could illustrate this way. While we often refer to Jesus as the Son and frequently call the first person of the Godhead the Father, do we really want to take such expressions in a totally literal way? Or would it be more appropriate to interpret them in a more metaphorical way that draws on selective aspects of sonship and fatherhood? ?The Trinity? by Whidden, Moon and Reeve, page 94. Once the terms Father and Son are no longer literal, the backbone of Scripture can be twisted and shaped according to whatever we wish it to be. It becomes a simple thing to make God in our image. The whole notion of God taking on roles using terms Father and Son as symbols presents to us the idea that God has made Himself into man?s image. God, as it were, enters a parallel reality to make a moral statement. The true meaning of all the statements revealing the love of the Father for His Son are not to be literally taken, because according to the Adventist Church, Jesus is not actually the Son of God; this is a role He assumed for salvational purposes. As I look back over my life and I see the convergence of all the jesting, movies, parallel realities, transformed identities and deadly use of metaphors, I also see that these things were aimed at one key objective, and that was to destroy my ability to enter into a sweet fellowship with God and His Son in the Most Holy Place in heaven. Until I could begin to understand these deceptions and move away from them, it would be impossible for me to find entrance into the Most Holy Place and be with my Beloved. The Most Holy Place is where the marriage takes place, and it would be impossible for me to be part of the bride if I really did not know my prospective Husband. The only possible way to have continued sweet fellowship is to know the truth about who God and His Son really are. That which we have seen and heard declare we unto you, that ye also may have fellowship with us: and truly our fellowship is with the Father, and with his Son Jesus Christ. 1 John 1:3. I wanted this fellowship with the Father and Son so badly, and yet my knowledge of Jesus was confused by the voice and training of the tempter. My training in movies, jest and metaphorical theology allowed me to let these two separate lovers walk with me as one person. The principles of self-reliance, transformed Identities and winning respect through achievement were subtly being worshipped in a parallel reality to the meek and lowly Saviour of the world. My Beloved could not let me into the secret place of the Most High while I still had affection for my childhood lover. There had to be a way of escape from this war in my mind. What Wondrous Love Is This? - By His Death We Are Made Alive! - What Death? Comments on the Sermon "Our First Work"
Coming Up With the "Trinity"
Why Was Lucifer Jealous of the Son of God?